Before we took off to sail our own boat on an extended cruise that ended up being a circumnavigation, Rosie wanted to build her sailing and boat handling skills on her own so she could confidently handle the boat in an emergency. 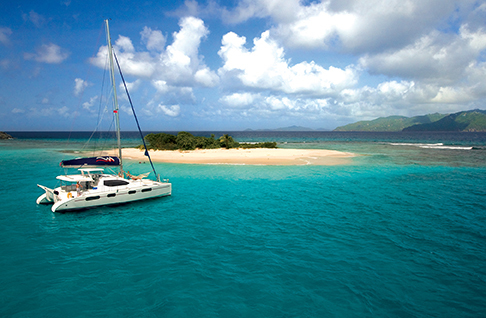 She signed up for a week at the Offshore Sailing School in the BVI and took the Learn to Cruise course. By the end of the week, she could manage all of the basic cruising tasks from docking, anchoring, sail trim, helming and much more. Then she signed up for an “expedition” course that took her offshore with an expert skipper and three other students on a five day passage from Long Island to Bermuda, across the Gulf Stream. They ran into a full gale the first night but got through it fine. When they made landfall in St. George’s, Rosie was a seasoned old salt and ready to be a full sailing partner on our own boat. 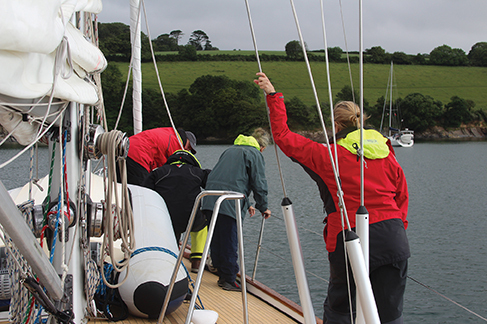 Whether you want to build skills or just get away for some fun cruising, this summer is the perfect time to sign up for a charter, a sailing school or an expedition. Here’s how. Summer is the season for chartering all around America and offers a great opportunity for you and your family to discover cruising grounds far from your home waters. Surveys of our readers over the years have shown that the Pacific Northwest is the most popular region to charter in summer in the continental states followed by New England and the Great Lakes. 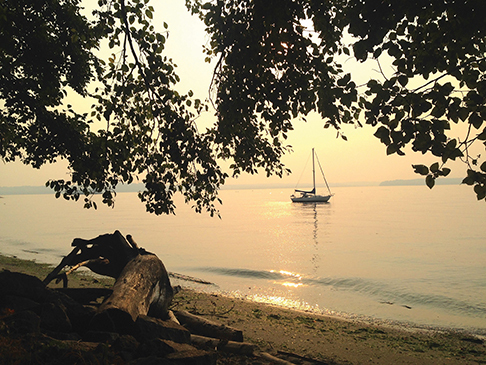 The Chesapeake Bay is popular in spring and fall but can be too hot and airless for summer cruising. Florida, also, is great in spring and fall, and can be fine all summer but the humidity and frequent rain squalls can be an issue. In the Pacific Northwest you can charter either a sailboat or a powerboat and since the wind is often light in summer and the current between islands very strong, a boat with a good motor is the key to happy cruising. There is good cruising all around Seattle and the islands or you can point the bow northward and head for the wild region around Desolation Sound. You will see bears and eagles and dine often on wild salmon. The Great Lakes are too often overlooked by sailors on the coasts but the lakes have some of America’s prettiest cruising areas and the great pleasure of sailing in sweet, fresh water. The favorite places to charter will be the Apostle Islands in Lake Superior, near Duluth, Green Bay, Sturgeon Bay and Door County in Lake Michigan and the famously beautiful waters of the North Channel in northern Lake Huron. 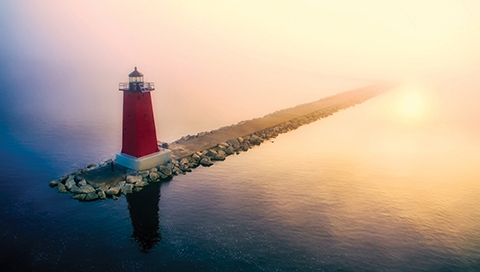 Great Lakes cruisers swear that the North Channel is America’s finest summer cruising ground, rivaling the Pacific Northwest and the coast of Maine; if it is not on your cruising bucket list, it should be. The Coast of Maine is famous for it’s thousands of islands, harbors and rivers that combine to offer a lifetime’s worth of sailing and cruising opportunities. It can be foggy in early summer so the best times to explore Maine under sail are in late July, August and September. Old timers will tell you that on foggy days you should sail to the heads of the bays for better visibility and on days when the wind clears from the north, you can venture to the offshore islands like Matinicus and Monhegan. Along the way you can stop in charming towns like Booth Bay, Rockland, Camden, Castine, Blue Hill and Southwest Harbor and learn to speak like a Maniac. Ehyup. 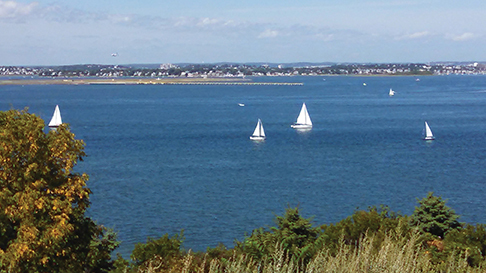 Southern New England is the East Coast’s summer yachting capital and the heart of the region will be Newport, RI. That’s the place to start and from there you can head east to Martha’s Vineyard and Nantucket or west to Long Island Sound and famous destinations like Block Island, Mystic, Shelter Island and Oyster Bay. You will sail in company of some of the grandest and most beautiful sailing yachts in the country, will see everything from Optis to 12 Meters racing around the buoys, and will catch sight of an osprey or two circling above your anchorages. July and August are the height of the season, but June and September can be lovely and less crowded, too. The Chesapeake Bay in late spring and early fall is one of the East Coast’s most interesting places to charter. Starting in Annapolis you can head down the Bay to St. Michael’s, Oxford and Tangier Island or sail north to the Magothy and Sassafras Rivers or even downtown Baltimore for a night on the town. 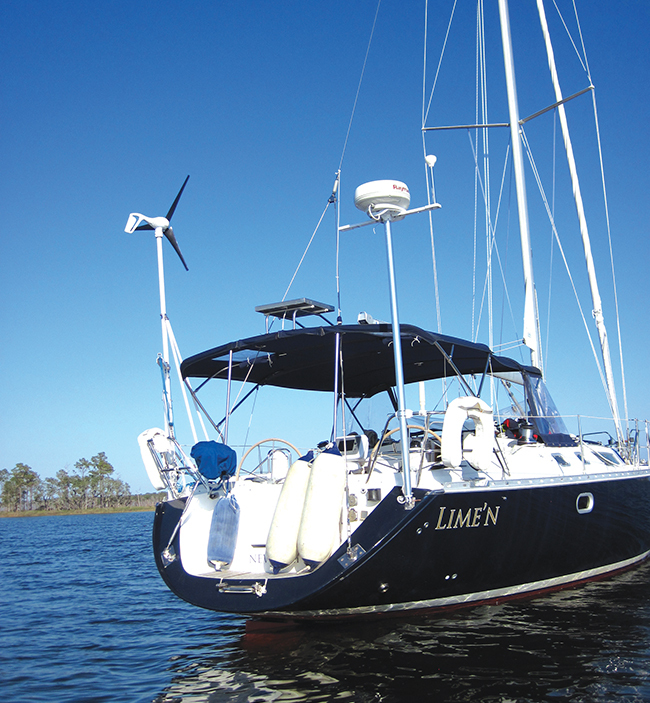 Florida is a sailing and chartering destination all year around and the two best destinations will be Ft. Lauderdale on the east coast and St. Petersburg on the west coast. 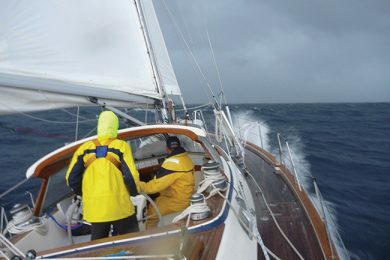 You have to keep an eye out for summer squalls and always have a plan B when making coastal runs. Also, Florida is America’s lightning capital, so keep a weather eye for storms. 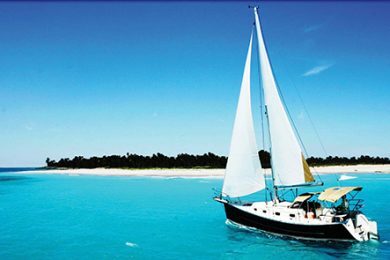 The Bahamas offers great summer cruising and will be less humid and have steady trade winds all summer long. 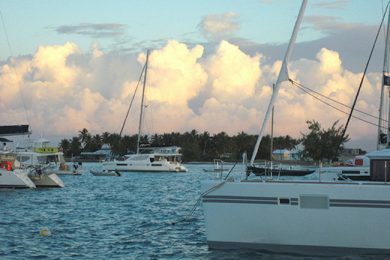 You can either cruise the Abacos out of Marsh Harbor or explore the Exumas from a charter base on New Providence Island (Nassau). Old time Bahamas cruisers will tell you they prefer the spring, summer and fall seasons to the winter simply because the weather is more settled and the crowds gone. 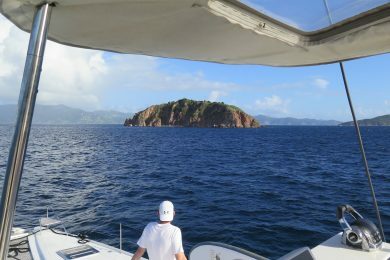 The Caribbean is open for chartering all summer long and you will find great off-season rates to keep the cost as low as possible. 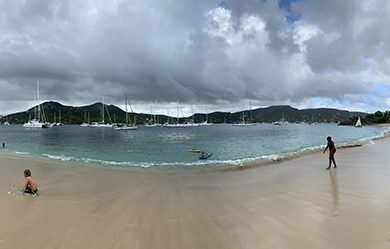 This summer, the charter companies in the BVI, USVI, Puerto Rico and St. Martin will be eager for your business and will be offering great deals to keep their fleets busy. The Caribbean in summer is slightly more humid than winter and it tends to rain more often. But, it is still the Caribbean and the hospitality can’t be beat. Building sailing and cruising skills while on summer vacation in some exotic destination sounds like a perfect combination of fun and travel for the whole family. 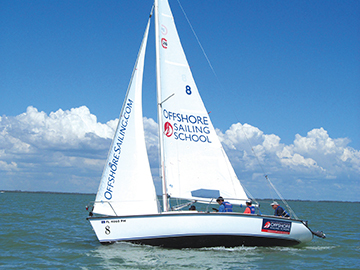 There are two branded sailing school operations in North America, schools associated with U.S.Sailing (the sport’s national governing body) and those affiliated with the American Sailing Association (ASA). 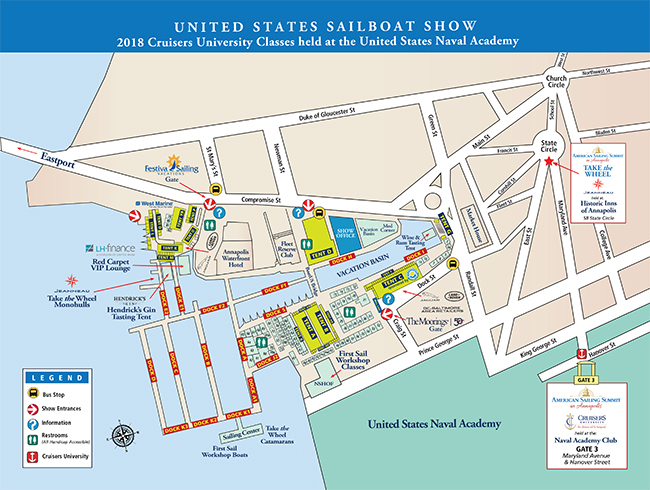 Some of the larger and older schools, such a Colgate’s Offshore Sailing School or J/World, are U.S. 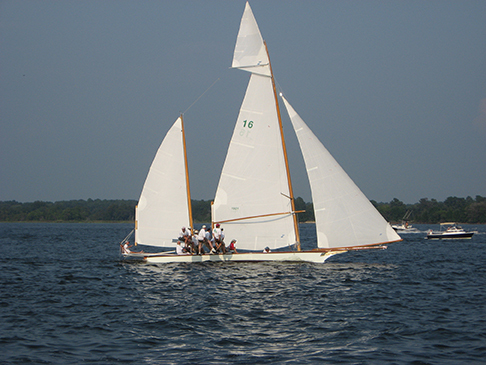 Sailing schools that follow the curriculum created and maintained by U.S Sailing. ASA has 350 schools around the world and provides a similar curriculum. 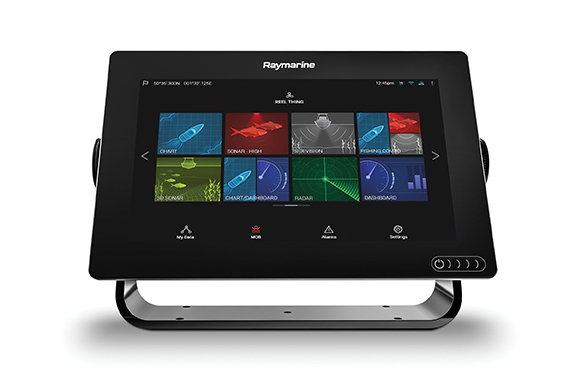 The choice between the two systems will often come down to where you want to sail and what you want to achieve. It is interesting that ASA has many international affiliates. There are 37 ASA schools in China and there is even one in Egypt. If you have your heart set on sailing in French Polynesia, you can charter a bareboat or you can fly in and attend a ASA affiliated school and build sailing skills. 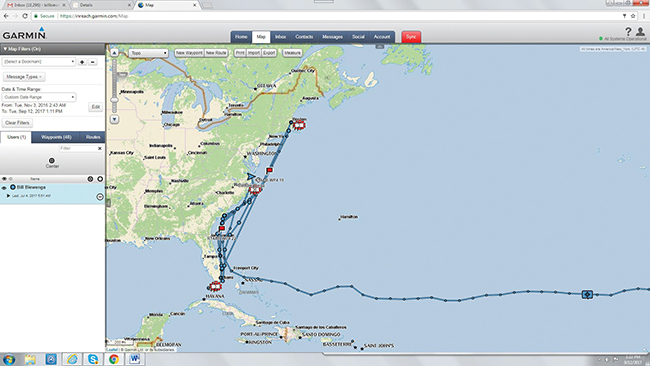 US Sailing has dozens of schools all around the U.S. plus schools in Bermuda, The Bahamas, the Caribbean and Mexico. 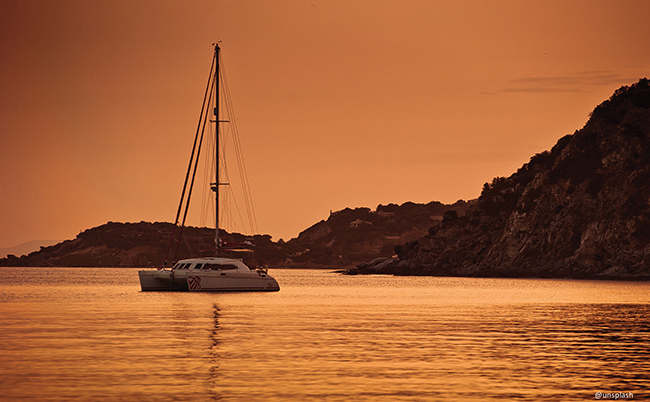 So, however you slice it, wherever you want to travel, you will be able to find a sailing school nearby. To find a sailing school log on to www.ussailing.org and www.asa.com. For those who want to get some real blue water sailing experience and learn seamanship and cruising skills from sailors who have hundreds of thousands of miles under their keels expedition sailing is the way to go. 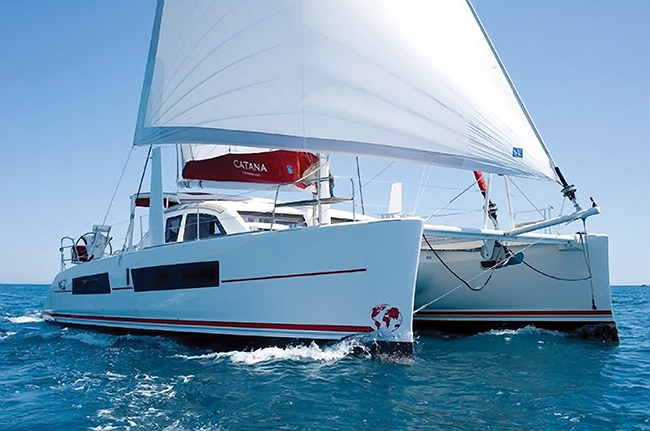 The most well known offshore instructors are John Neal and Amanda Swan Neal who sail with their students aboard their HallberG-Rassy 46 Mahina Tiare. Every year for the last 35 years, they have roamed the planet under sail while offering in-depth instruction on everything to do with offshore sailing from weather forecasting to engine maintenance to man-overboard drills and much more. www.mahina.com. John Kretchmer is a veteran offshore sailor who has sailed all over the world and now run expeditions in the North Atlantic, Caribbean and the Med aboard his Kaufman 47 Quetzal. He usually has four to six paying crew aboard and everyone gets to manage the boat, stand watches and learn the ropes as they do. Kretchmer is a great guy, a fun storyteller and a good teacher of all things to do with blue water sailing. In 2018 he will sail from the Caribbean to Florida and the Bahamas, then to Annapolis before making the crossing to the Azores. For the rest of the summer he will be cruising north to Scotland and Ireland before finishing the season in Spain. www.yayablues.com. Andy and Mia Schell have jumped into the expedition business with both sea boots and run six to 10 expeditions per year aboard their Swan 48 Isbjorn. 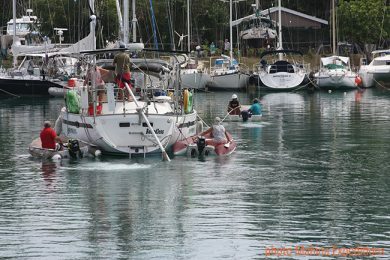 Andy has vast offshore experience and was closely aligned with the Caribbean 1500 for many years. He also has one of the most popular podcasts available anywhere and is a frequent author. 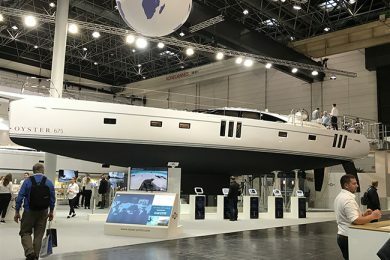 In 2018, Isbjorn will be focused on sailing in the Norwegian Arctic and will end the season with a passage south to Portugal where the boat will be staged to begin the 2019 season. 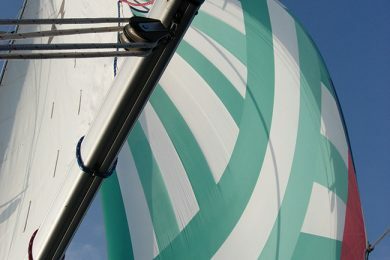 www.59-north.com. 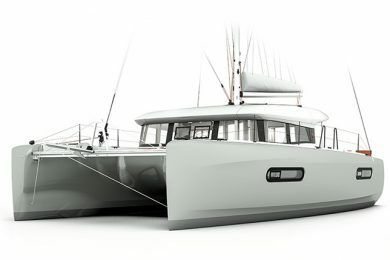 Paul Exner runs a smaller expedition program aboard his 31-foot cutter Solstice. 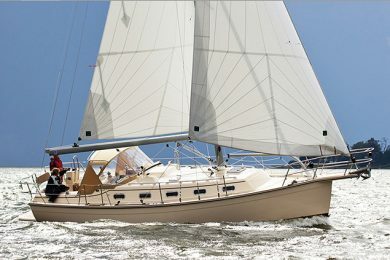 He can accommodate three guests and has focused his sailing in the Caribbean. In 2018, he is branching out and is running expeditions from the BVI to Panama, through the canal, up the west coast and then to Hawaii. If you are looking for small boat experience and an intimate environment, Paul has just what you are looking for. www.moderngeographic.com.